Values at Heart 2016 – encouraging people to discover their most powerful and energising values for free until the 14th of February. Now in its fifth year Values at Heart is encouraging people to discover their most powerful and energising values for free. To translate your core values into practical day to day behaviour Magma Effect is partnering with my31Practices to offer this web application which will help you bring these values to life every day. See how it works here www.my31Practices.com . Research shows that people who are consciously connected with their priority values are more resilient under stress, and have an increased sense of meaning in their lives. The AVI approach is a great way to strip out the background noise and be able to hear your heart. 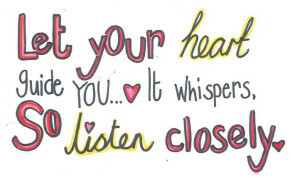 Do you know what your heart is saying? This entry was published on February 9, 2016 / UK Values Alliance. Posted in News. Bookmark the permalink.